In "The Origin of Species" (1859) Charles Darwin challenged many of the most deeply-held beliefs of the Western world. 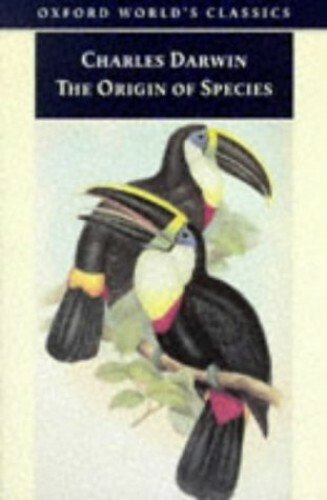 Arguing for a material, not divine, origin of species, he showed that new species are achieved by "natural selection". In The Origin of Species (1859) Darwin challenged many of the most deeply-held beliefs of the Western world. Arguing for a material, not divine, origin of species, he showed that new species are achieved by 'natural selection'. Development, diversification, decay, extinction, and absence of plan are all inherent to his theories. Darwin read prodigiously across many fields; he reflected on his experiences as a traveller; he experimented. His profoundly influential concept of 'natural selection' condenses materials from past and present, from the Galapagos Islands to rural Staffordshire, from English back gardens to colonial encounters. The Origin communicates the enthusiasm of original thinking in an open, descriptive style, and Darwin's emphasis on the value of diversity speaks more strongly now than ever. As well as a stimulating introduction and notes, this edition offers a register of the many writers referred to by Darwin in the text.